Five sea lions, rolling on the pier. They look like seals but you can see their ears! ROAR with our dinosaur puppet "Bruce"! Imagine your gathering of families boosted by an energetic rock-n-roll show just right for kids and their grown-ups. 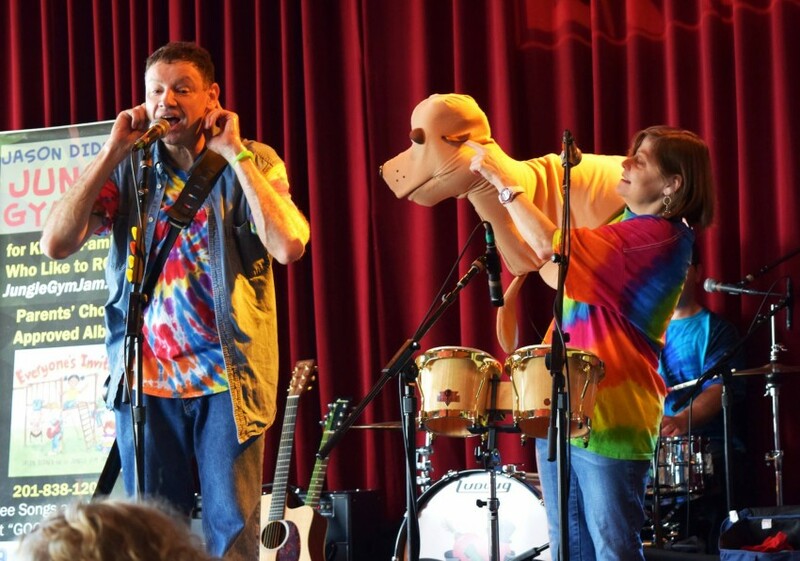 Think of the memories you'll make when your attendees are rocking out to spirited music inspired by Bruce Springsteen while spectacular puppets make a cameo and "Jersey Jason" and "Awesome Amy" invite all kinds of audience participation. 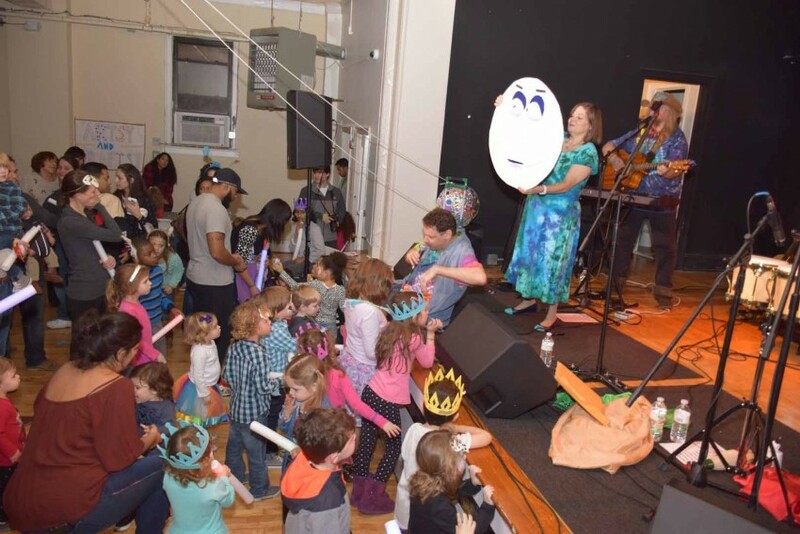 "Jason Didner and the Jungle Gym Jam is a wonderful live music experience for families with young children," wrote Mommy Poppins Philadelphia. "The energetic, interactive show came with puppet characters to help introduce the songs. Kids learned to "freeze dance" while dancing to the very catchy song about guitar pick safety." Having Jersey Jason and the Jungle Gym Jam definitely made our daughter's party a hit! They got everyone involved and their energy even got the parents to dance. We definitely would recommend them to anyone having a birthday party for their toddler who want them to dance, sing along, and have some fun. Awesome, thanks Matt! We can't wait to rock out with your family again when we're back in PA in April and June! It was a pleasure working with Jason for my daughter's first birthday. He was quick to respond, tailored the show to the kids, and was engaging. I would recommend his service to anyone looking to hire music entertainment. Our performance is upbeat and energetic, based on the positive lyrics designed to be part of a happy childhood filled with curiosity to try new things and meet new people! You will see jumping, spinning, smiling, interaction between band members, and interaction with the kids in the audience. We will teach the kids new dance moves that go with our lyrics. We also bring percussion instruments for the kids to play along with the band. We are a fully self-contained band with PA system suitable for parties and small spaces indoor or outdoors. You can expect friendly, courteous business dealings, punctual setup, friendly interactions with the kids, a fun and energetic performance and a prompt breakdown of equipment after the show, with as much "meet-and-greet" activity with the kids as you would like after the show as well. We can perform cover songs upon request. 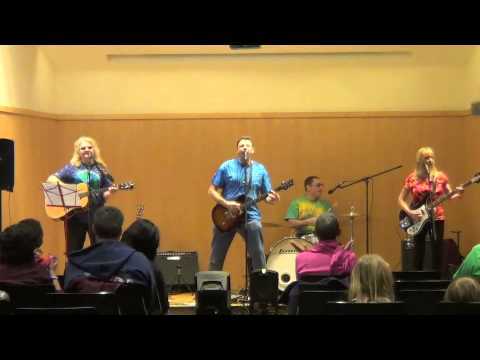 Our existing covers include "All Star" by Smashmouth, "Me and Julio Down by the Schoolyard" by Paul Simon, "Three Little Birds" by Bob Marley, "Yellow Submarine" by The Beatles and many other songs that work for both kids and adults. The band is made up of longtime friends and newly found kindred spirits. Drummer Rockin' Ross Kantor and Jason have enjoyed a friendship of over 30 years, dating back to elementary school. They both performed at each other's Bar Mitzvahs! An online search led to the addition of Cowgirl Casey McCleary to the lineup where she adds her golden doo-wop/folk inspired vocal harmonies and multi-instrumental skills. The band's newest addition, Chip Moore on bass, hails from a band that Jason and his daughter enjoyed so much they were dancing in the street where this group was performing at a town event. That band is Rainbow Fresh; Chip continues to gig actively with Rainbow Fresh at night while putting in most of his Jungle Gym Jam appearances in the daylight hours. Chip's presence in the group is helping the band move on from a terrible tragedy. Mr. Lou DeMartino was a previous bassist until an asthma attack suddenly cut short his life. Lou was primarily a member of Joe D'Urso and Stone Caravan and he was hugely popular on the Asbury Park music scene. We come as an acoustic duo or as a full five-piece band. The duo is recommended for lower-budget affairs (or in tighter spaces) like birthday parties. 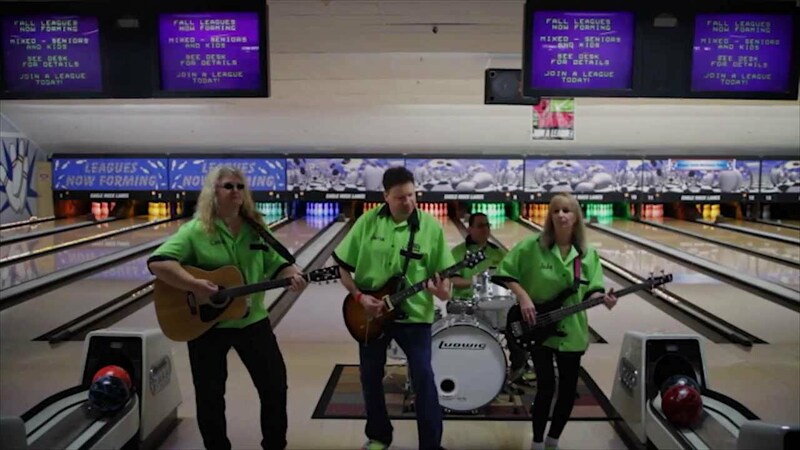 To make a big impact at a public performance and to engage the interest of older kids, we recommend the full rock-n-roll band experience with the five-piece band - electric guitars, drums, keyboards and lots of dancing! All group members sing and participate in our onstage banter. Our PA is sufficient for parties up to about 75 guests. For larger festivals and events, we would use the main PA designated for the event. If an event in a smaller venue require we bring our own lighting, we can make arrangements. Other kids music artists who influence our songwriting include Laurie Berkner, Justin Roberts, Princess Katie & Racer Steve, Milkshake and Recess Monkey. Artists who have influenced our sound and feel outside of the kids music genre include Bruce Springsteen, Elvis Costello, The Grateful Dead, The Beatles, Van Halen, Bob Marley, Eric Clapton and Billy Joel.